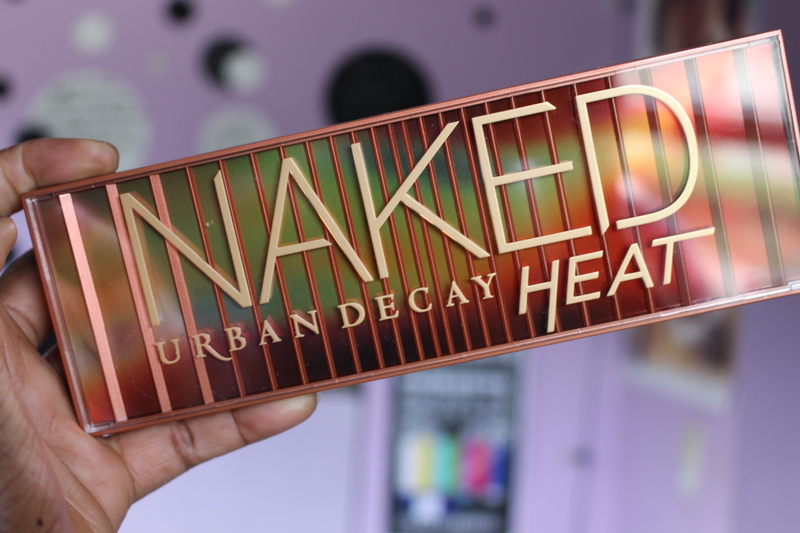 Everyone, I have announcement that the title already gave away… I got the Urban Decay Naked Heat Palette (links: x, x, x)! It’s really pretty, so let’s have a chat, shall we? (this review is going to be very simple because all the good stuff is in the video (GO WATCH ITTTTT). It’s A Very Complete Palette – This means that you can create an entire eye look without having to rely on another palette for assistance. There are enough matte shades to work as base colors, tranition colors for your crease and outer eye colors. There’s also a lot of shimmers you can use all over your lid. I Love The Colors – My favorite palette of all time is the Modern Renaissance palette by Anastasia Beverly Hills, which is a palette with a lot of oranges, reds and pinks. That’s my JAM! I love a good warm, burnt colored palette. It’s great for everyday and you can amp it up for nighttime looks as well. This new palette by Urban Decay also has that. It’s more orange and red, rather than red and pink, but they’re still very good, everyday shadows. Quality – Urban Decay will not fail you on their eyeshadow quality, especially if it’s in a Naked palette, and especially if it’s a shimmer. These shadows are SO pigmented. You have to build up the mattes, but once you do they look great. But the shimmers? One swipe and you’re gold. They’re SO pigmented. If you’re putting them on with a brush you probably have to build it up a little bit, but if you’re doing a lid color with one of the shimmers and you’re using your finger? Girl, so pigmented. Also, the shadows are very blendable and smooth. Great job UD, great job! Clumps – When I was swatching these with my finger, I realized that some of the glitters had chunks (of shadow) in them. These can easily be smoothed out, but they were still annoying. Have To Build It Up – As I mentioned before, the matte colors take a lot of building up, as do some of the shimmers if you’re using a brush. If you watch the video (watch the video), you’ll see what I mean in the swatches section. There’s A Lot Of Fall Out (Boy) – When I was using the shimmers in this palette (with my finger), there was a TON of fall out. I had eyeshadow all over my face, it may as well have been highlighter honestly. The Price – This eyeshadow palette retails for $54. That’s the price for all of Urban Decay’s Naked palettes, but it’s a high price. Very, very expensive. If there’s a dupe out there, let the world know and get it because, girl. That’s three meals at a restaurant. That’s a concert ticket. That’s like 10 products from NYX. That’s Lancome foundation. That’s really expensive. Previous So You Two Broke Up – Here’s What You Might Want To Avoid Doing. Next HOW TO MAKE SLIME IN 5 EASY STEPS! Thank you for the great review and video! They really are which is a blessing! Thank you for your thorough and funny review! I am so on the fence on getting this, but I do have a lot of palettes already and I feel like I need to wear them out first before diving into this one. It’s not going anywhere, so no need to break the bank yet. I also just purchased Lime Crime’s Venus I and II palettes (there was a sale, no judgement please! 😹)… and they have a lot of nice reds and oranges (if I remember correctly) so I’m hoping those, plus ABH’s Modern Renaissance palette, will hold me off.